Nice easy one to get the Kiddies to help with during the Holidays. Mix all ingredients together, either by hand or in a food processor. It might look crumbly but that’s OK. Knead it all together. Roll it out thinly on a floured board. Cut into short strips or stamp out into star shapes with a star-shaped cookie cutter and put on a non-stick, greased or lined tray in the oven for 10 minutes. Cool cheese straws on a wire rack. 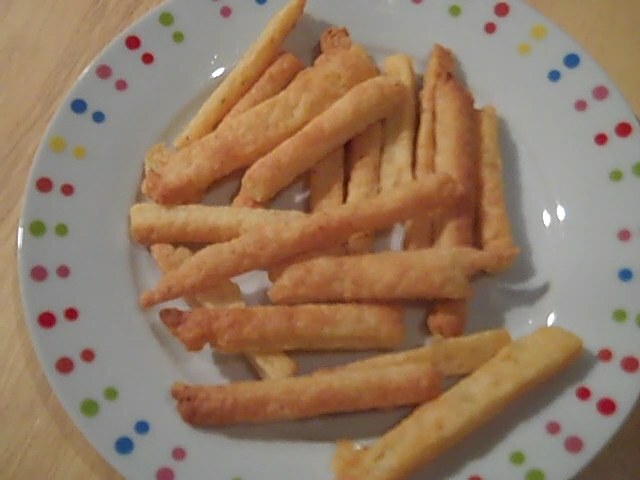 Check the cheese straws after 8 minutes – some of my batches were definitely done by then. You can also try different cheeses.